FLIPPER, yet another Othello clone from a German programer. GURU, a listing of the guru meditation errors to let know what you did wrong. away some of those nasty disk read errors. 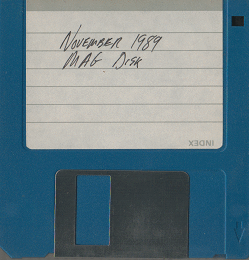 select the program titles for a disk label. PARANOIDS, an asylum escape game similiar to a traditional boardgame. I hope you enjoy this disk and have no probelms running it.